b. 1762, 3rd. s. of Robert Dundas† of Arniston, ld. pres. of ct. of session, by 2nd w., and bro. of Philip Dundas* and Robert Dundas*. educ. Edinburgh h.s. 1770-1; Univ. Coll., Oxf. 13 June 1780, aged 19; L. Inn 1780, called 1788. m. 1 June 1813, Mary, da. of Hon. James Archibald Stuart Wortley Mackenzie*, s.p. Commr. Board of Control Nov. 1797-1803; PC 25 June 1800; sec. at war May 1804-1806; ld. of Admiralty Mar. 1812-Aug. 1814. Keeper of the signet [S] Aug. 1814, keeper of sasines 1819, ld. clerk register June 1821-d.
Vol. Westminster light horse 1797-1803; capt. Loyal N. Britons 1804. 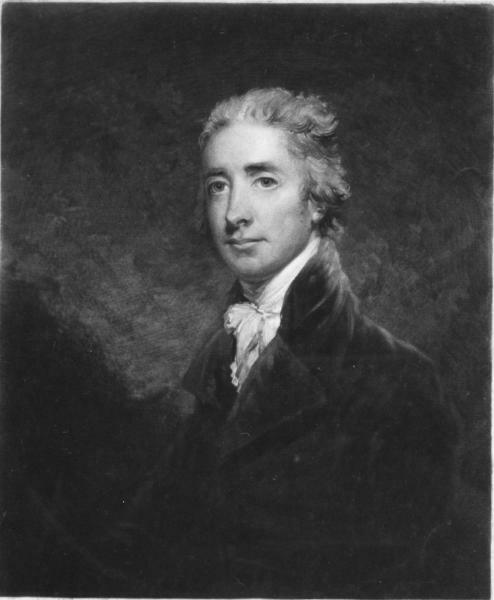 In striking contrast to Robert, his elder brother, William Dundas was (so Lord Glenbervie thought) ‘a tall, stiff, affected coxcomb—perhaps with more parts, but offensively important and assuming’.1 He was the only member of his family to receive an English education and, being called to the English bar, had a respectable but not extensive practice, acquitting himself ‘perfectly well’ in cases before the bar of the House of Lords. His uncle Henry Dundas arranged his return for Anstruther Burghs with Sir John Anstruther in 1794 and, under the same aegis, he transferred at the general election to Tain Burghs, where Francis Humberston Mackenzie returned him. He was ‘an active Member, and occasional speaker’,2 first intervening on 26 Feb. 1795 to protest against the delay in delivering the writ for Kirkcudbright: on 26 Mar. he threatened a bill to enforce the expeditious delivery of Scottish election writs. On 1 July the Scots licensed distillers were grateful for his ‘promptitude and friendly interference’ in their deputation to the prime minister.3 Dundas followed his uncle in voting against the immediate abolition of the slave trade, 15 Mar. 1796. 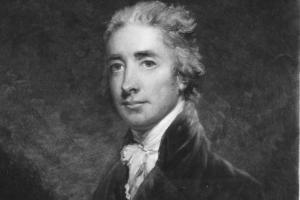 By April 1801 Addington had settled that Dundas was ‘under Lord Lewisham, to bring forward India business in the House of Commons’, seeing that he would be ‘the best channel of communication between Lord Lewisham and Henry Dundas’. When Glenbervie, reporting this, learned that Dundas was also ‘fixed on as minister for Scotland’, with the aid of his brother Robert, he grew incredulous. 1. Glenbervie Jnls. 124, 126. Glenbervie could not resist the suggestion that the brothers were so unlike as to warrant a suspicion ‘which my recollection of the mother’s reputation might perhaps confirm’. 2. Gent. Mag. (1846), i. 312. 3. Oracle, 2 July 1795. 4. Geo. III Corresp. ii. 1621, 1623; iii. 2180. 5. E. Suff. RO, Tomline mss, Rose to bp. of Lincoln, 13 July 1801; Glenbervie Diaries, i. 148. 6. Glenbervie mss diary, 5 Apr. 1801. 7. Glenbervie Diaries, i. 320. 8. Harewood mss, Canning to his wife [c.18 Apr. 1803]. 9. D. Marshall, Rise of Canning, 251; Sidmouth mss, Dundas to Addington, 4 June 1803. 10. Stanhope, Pitt, iv. 145. 11. Add. 35756, f. 225; Ward, Letters to ‘Ivy’, 26; Colchester, i. 556-7. 12. HMC Fortescue, vii. 300; PRO 30/8/131, f. 76. 13. Add. 48219, f. 157; Geo. III Corresp. iv. 3174, 3179; SRO GD51/1/195/17. 16. SRO GD51/1/195/18; Fortescue mss, Dundas to Grenville, Tues. [18 Feb. 1806]; HMC Fortescue, viii. 35, 43. 17. Malmesbury mss, FitzHarris to Malmesbury, 4 Mar. ; Fortescue mss, Dundas to Grenville, Tues. [29 Apr. 1806], reply of even date. 18. HMC Fortescue, viii. 137, 173. 19. Spencer mss, Scottish list, 1806; Grey mss, Adam to Howick, 7 Feb. 1807. 20. J. Wilson, Biog. Index (1808), 580. 22. Perceval (Holland) mss 9, f. 15. 23. Prince of Wales Corresp. viii. 3179, 3180; G. Omond, Arniston Mems. 279-80. 24. Perceval (Holland) mss, Dundas to Perceval, 6 June 1811. 25. NLI, Richmond mss 74/1909; Add. 37296, ff. 402-3. 27. Edinburgh Advertiser, 13 Oct. 1812. 28. NLS mss 2265, f. 21; 3796, ff. 94-5. 29. Gent. Mag. (1846), i. 312.